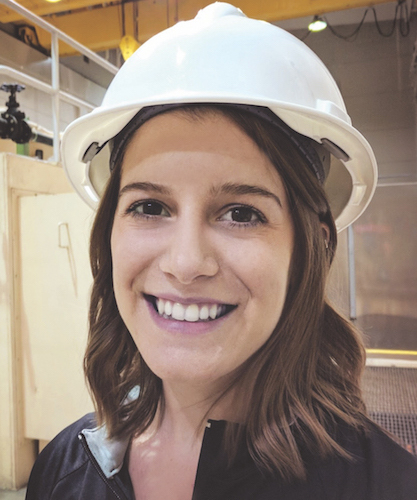 Since joining the SWS team as managing editor, one of my most valuable experiences has been connecting with women in the storm water and erosion control industry. As a young woman professional, I am in the unique position to not only learn from and relate to their stories, but also report on them in ways that may motivate other women professionals. In February, while attending the International Erosion Control Assn. Annual Conference & Expo in Denver, I joined an intelligent and welcoming group of women at the Women of Water (formerly Women of IECA) networking reception. With a beautiful view of the Rocky Mountains and cocktails in hand, approximately 20 attendees introduced themselves and their roles in the industry, and shared some takeaways. A number of women expressed similar sentiments of watching diversity and inclusivity grow in the industry in recent decades. Several women shared that when they first joined the industry, they could count the women they knew in it on one hand. More women, young people and people of color are creating change and positivity in the world of storm water and erosion control than ever before. I hope this upward trend continues. The diversity in the industry still is relatively small, but we can encourage growth. We can motivate young women and people of color to join STEM fields; we can create more inclusive work environments; we can develop work clothes and tools better suited for different body types; and we can welcome more diversity in leadership roles. If you have a story you would like to share, please send it my way. And if you would like to connect with more women in the industry, I hope I can be a resource to you.